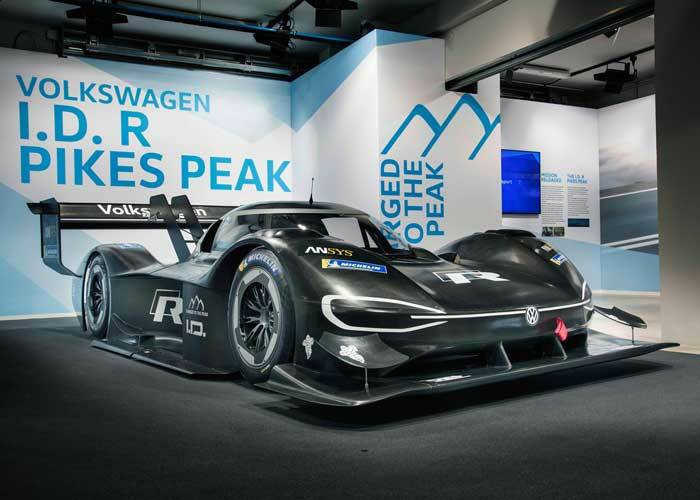 VW has unveiled some images of its awesome EV racer that will take on Pikes Peak this year. The racing car is called the I.D. R Pikes Peak and it uses lots of carbon fiber to achieve a sub 2,500-pound weight. The car uses electric propulsion exclusively and makes 680hp. The torque output is 479 lb-ft and the numbers work out to a 0-60 mph time of 2.25-seconds. That makes the VW racer faster than an F1 or Formula E car to 60mph. VW says that its top goal was to balance energy capacity and weight. The car is powered by lithium-ion batteries and VW says that the research for the racing car will benefit its production EVs in the future. The Pikes Peak hill climb happens on June 24.